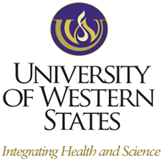 Personal Injury Training Institute receives Chiropractic Continuing Education (CE) through the University of Western States (UWS). Then scroll down to disclaimer section titled “CONTINUING EDUCATION DISCLAIMERS”. Questions regarding details and current standings should be directed to UWS. 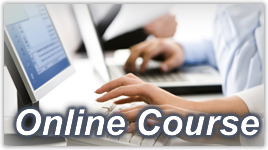 CE for Personal Injury Online Training must be arranged prior to taking PI Online Trainings. UWS is recognized by the PACE program of the Federation of Chiropractic Licensing Boards. CCE college sponsored programs are accepted for continuing education in CO, CT, DE, GA, IA, ID, IL, IN, MI, MS, MT, ND, NE, NM, OR, RI, SC, UT, VA, VT, WA, WY and BC. * At the time of this publication this information has been checked and believed to be accurate. However, this information is ever changing for many reasons and you should check with your appropriate government sources for current accuracy. CO, CT, DE, GA, IA, ID, IL, IN, MD, MI, MS, MT, ND, NE, NM, OR, RI, SC, UT, VA, VT, WA, WY & BC. AK, ID, IN, IA, KS, MA, MD, ME, MN, MT, NC, ND, NE, NJ, NM, NV, OH, OK, OR, SC, SD, UT, VT, Puerto Rico & Nova Scotia.